Henry Holt and Co. (BYR), 9780805099089, 368pp. If Edward thought life was going to be easy in Lunae City, he was very, very wrong. The moment he intercepts a thief escaping from Lady Harleston’s town house, he is caught in a terrible scheme that threatens all of Mars. Soon he’s fighting off vicious sea serpents, battling a small army of heavily armored thugs, and trying to unpick an impossible mystery. Edward doesn’t know whom he can trust. Will he make the right choice? 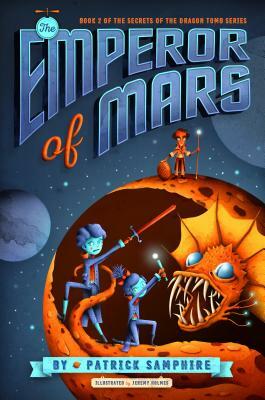 Or will his family—and his entire planet—fall victim to the treacherous Emperor of Mars?